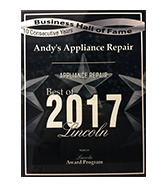 People in Lincoln call Andy’s Appliance Repair for exceptional residential kitchen and laundry appliance repair service. With over 45 years of experience delivering appliance service and replacement parts on models old and new, we’ve been around the block long enough to have a solid understanding of what it takes to get the job done in an affordable and timely fashion. Once we get to your home, we operate with a “guest mentality” when we are there. We are careful to not damage the floor, cabinetry, or traipse through your house with muddy boots (we were booties, no joke!). We won’t even ring your doorbell, as ringing bells wake sleeping babies. Our technicians know exactly what they are doing. 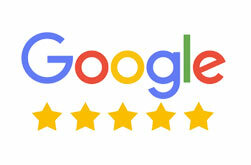 With many years of combined experience, we are highly-trained, superbly professional, polite, and skilled at our craft. 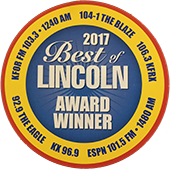 It’s no wonder we’ve won 2017 Best of Omaha and Best of 2017 Lincoln awards this year alone, with a few other awards and recognitions over the years to boot. 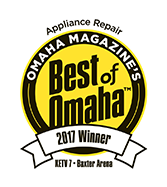 Once the technician diagnoses the appliance repair and/or appliance part required to solve your situation, we will explain to you what needs to be done, and the best course of action along with an estimate and timeline for the service repair. We only use factory OEM original parts for all appliance repairs to keep your machine running safely and as designed.